A 16-piece dining set that caters for four! 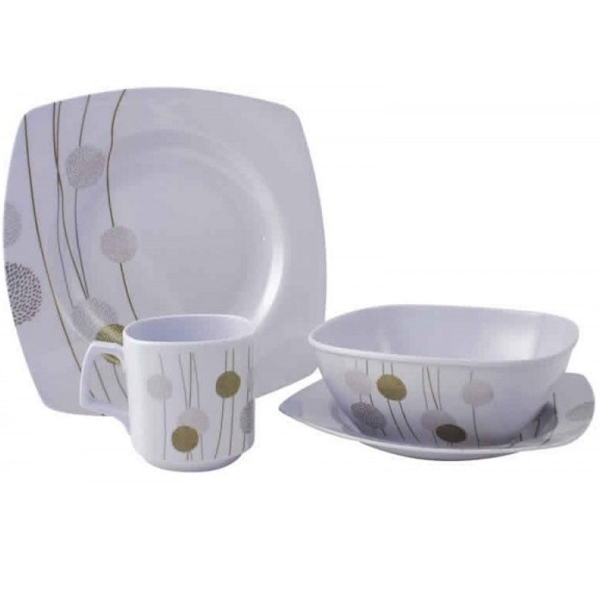 Made from 100% melamine each piece is easy to clean (dishwasher safe) and break resistant. Complete with an attractive design you can provide your campsite with that home-like feel for comfort and a great outdoor dining experience.